How Much of a Wolverine Are You? 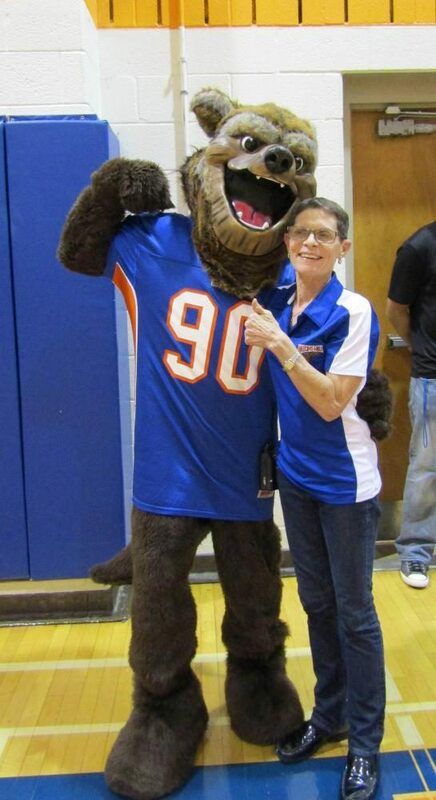 Principal Carol Goddard cheeses with the mascot. Do you know his name? When did Watkins Mill open? What is the mascot's name? What are our main colors? What Watkins Mill staff member went to Watkins Mill for high school? What statues are in the courtyard? What teacher has been here since the school opened? Where do you go to take your pictures? What is NOT a club at Watkins Mill? You barely know anything about The Mill. Do you even go here?